The farm has 4 apartments, situated in the main building, which dates back to 1600 with swimming pool and solarium. It has a total of 14 beds which can add some beds for children up to 12 years. 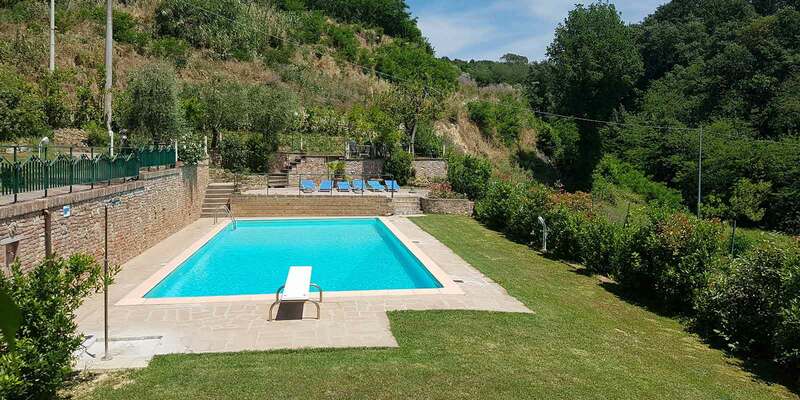 100 meters away from the pool the farm has a charming house, La canonica, the ancient home of the Prior, built in 1225, for total 8 beds, where it’s possible to add beds for children up to 12 years. You can also find accommodation in the Camera Padronale House, a suite with 3 windows overlooking the garden of 30 sqm, with bath and private entrance. In our Sala del Priore, a suggestive environment of Etruscan origins, restored leaving intact the historical evidence, it is possible to taste excellent wines of the most ancient Tuscan tradition and monocultivar olive oil, both produced with organic methods. 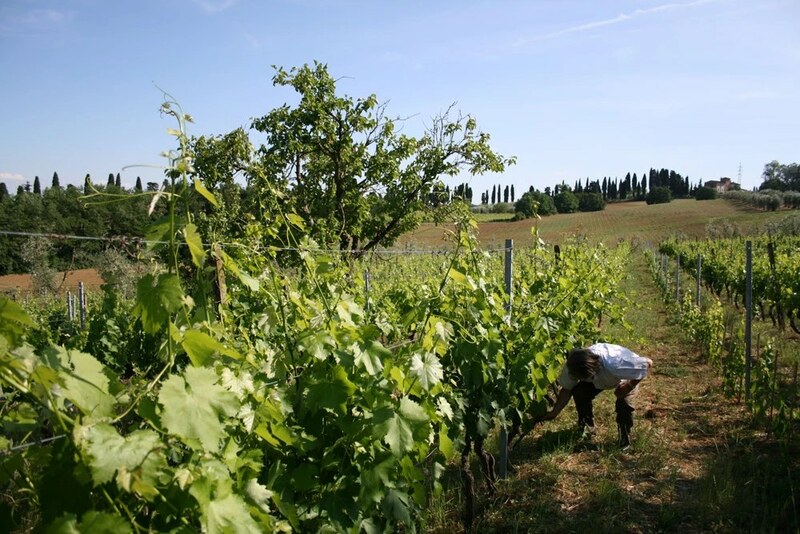 The company produces organic wines and oils, which you can taste in combination with food, and also in the suggestive cellar whose construction dates back to the Etruscan period. In our conference room can be arranged: Events, weddings, anniversaries, birthdays etc Seminars or business. We can serve, on request, dinner or breakfast and also lunch for group. Upon request, for groups can be arranged: travel for shopping (clothes, shoes, food, wine, cheese), visits to wineries or even guided tours in the most emblematic cities of the Tuscany. The farm is located on the hills of the Era. 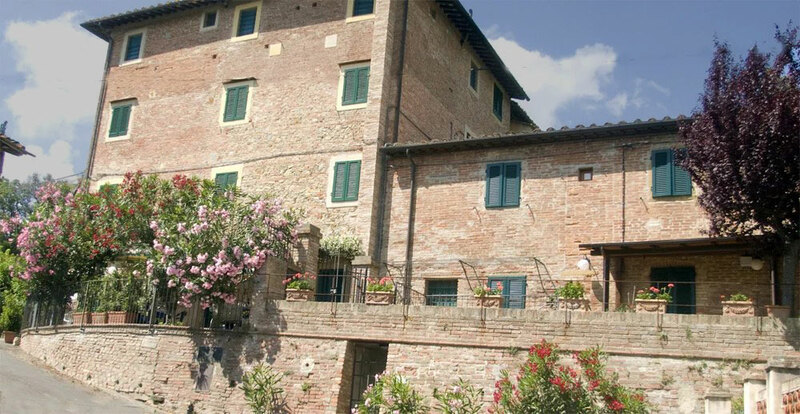 Half way between Pisa (30 km distance from the airport ,from where we can arrange a shuttle service) and San Gimignano, in the heart of Tuscany, near the most important cities : Florence, Pisa, Lucca, Volterra, Siena. In the area you can go jogging, in a beautiful track about 10 km long, hiking in the hills of vineyards and olive groves, riding schools. It’s possible also make flight school in the nearby area of aviation of Capannoli. It’s possible to organize visits to several wineries in the area, but also to go in the open markets and small shops. Siamo tornati per la seconda volta al Borgo di Alica attirati dalla pace che si vive in questo angolo di Toscana e dalla posizione strategica. Abbiamo ritrovato la cortesia e la cordialità della Signora Clara e del Signor Roberto, molto discreti ma sempre presenti in caso di bisogno o semplicemente per fare due chiacchiere gioviali…. Posto gradevole, tranquillo e strategico per visite alle città di Pisa, Lucca e Volterra. Sono raggiungibili in circa mezz’ora. L’appartamento spazioso con doppi servizi, con tipica costruzione toscana con mattoni rossi, cotto e travi in legno a vista. Copyright © 2019 Borgo di Alica. All Rights Reserved.